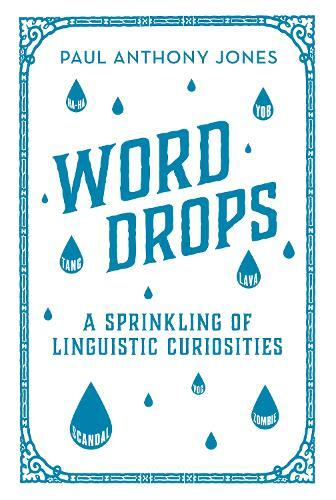 Paul Anthony Jones, author of Word Drops: A Sprinkling of Linguistic Curiosities, celebrates International Translation Day with five mistranslated words and phrases. International Translation Day is celebrated each year on the 30th of September—the feast day of St Jerome, the patron saint of translators, who is known for being among the first in history to translate the Bible from Greek into Latin. But translations from one language to another don’t always go smoothly, and mistakes, misreadings and misinterpretations can sometimes warp the meaning or implication of the original text. According to the Oxford English Dictionary, the phrase abominable snowman dates back to 1921, when it was coined by an English journalist named Henry Newman. Newman was reporting for The Times newspaper from Darjeeling in India, where he interviewed several members of an expedition to Mount Everest led by the explorer Sir Charles Howard-Bury. While on the mountain, the expedition team had apparently spotted a set of enormous humanlike footprints in the snow, which the local Sherpa guides told Newman they immediately recognized as belonging to a legendary monster known locally as metoh kangmi. In his report, Newman interpreted this name as meaning “abominable snowman”—but while his reading of the Tibetan word kangmi, “snow-man”, was correct, metoh is actually much closer in meaning to “dirty”, “scruffy”, or “dishevelled” than it is to “abominable”. Nevertheless, Newman’s version of the name soon stuck, and has remained in use ever since. Deuteronomy is the title of the fifth book of the Old Testament. Its name—lifted from chapter 18, verse 17 of the text—literally means “second law”, and derives via Latin from Ancient Greek. The name Deuteronomy itself, however, is a mistake: in the original Hebrew text, the eponymous line at 18:17 reads “mishneh ha-torah ha-zoth”, literally meaning merely “a copy of this law”. When this line was translated into Greek, however, it was misinterpreted as “to deuteronomion touto”, essentially meaning “this second law”. Nevertheless, the error went unchecked, and eventually went on to become the title of the book itself. Chaste-lamb, or Vitex agnus-castus, is a popular Mediterranean flowering shrub, also known as the chasteberry or the monk’s-pepper. Its taxonomic name derives from the Ancient Greek word agnos, meaning “pure” or “chaste”, as the plant’s delicate lilac-coloured flowers are believed to have once been associated with the virginal goddess Hestia in Greek mythology. When this name was passed from Greek into Latin, however, the Latin word for “chaste”, castus, was added to it for clarification, and the double-barrelled agnus-castus remains the plant’s scientific name to this day. In the late Middle Ages, however, the Greek root agnos was mistakenly interpreted as the Latin word agnus, meaning “lamb”—and, as a result, the plant eventually became incorrectly known as “chaste-lamb”. China’s Boxer Rebellion—an uprising that took place at the end of the Qing dynasty between 1899-1901—takes its name from an English mistranslation of the name of the anti-imperialist group who instigated it. The group’s name was Yihetuan or I-He-T’uan, meaning the “United Righteousness Militia”. In English, however, this was mistakenly interpreted as I-He-Ch’uan, meaning peculiarly the “United Righteous Fists”. As a consequence, the uprising was interpreted as the “Boxer” Rebellion by English journalists who reported on it, and the name has remained in use in English ever since. Of all different versions of the Cinderella fairy story, the version best known to many people today is probably that written by the French author Charles Perrault. Perrault’s Cendrillon, dating from 1697, is the first version of the Cinderella story to make reference to a glass slipper, or pantoufle en verre—but some scholars and etymologists, including the Oxford English Dictionary, have questioned whether this was indeed Perrault’s original intention. Instead, it has been suggested that the original text likely made reference to a pentoufle en vair—literally, a “squirrel-fur slipper”—which the handsome prince then used to identify his beloved. But because vair sounds and is spelled so similarly to verre (and because the two materials are apparently perfectly suitable for making slippers), the original text was mistranslated into English and has never been corrected.